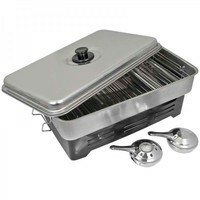 Fish smokers are brilliant for cooking and smoking your catch when the fish is at its freshest, straight out of the water. 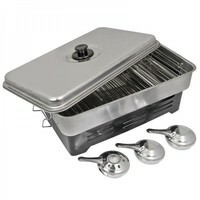 Fish smokers are lightweight, portable and most importantly easy-to-use. Simply fill the burners with methylated spirits, add smoking sawdust to the smoker, lay your fish on the grills and let it smoke. 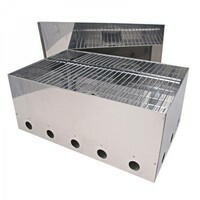 Pack up and clean up is a breeze with our available range of stainless steel fish smokers.